Fickle Prickles - Cacti & Succulents: A Winner has been Chosen! We were completely inundated with photo entries to our DIY Valentine's Day Competition - You are all so very talented! It makes our job deciding a winner that much harder. We are very pleased to announce that the winner of a $20 Fickle Prickles voucher is Sharon from Willetton! 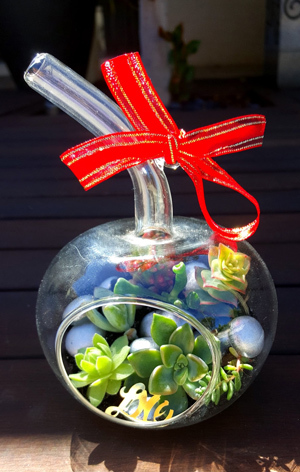 Congratulations to Sharon, who created this very cute Valentine's terrarium. We would like to thank everyone who entered, and hope that your loved ones enjoyed all of your DIY succulent creations. 4 Delightful DIY Succulent Valentine Ideas!